Two walrus swimming in shallows along Spitsbergen Island in arctic Norway. 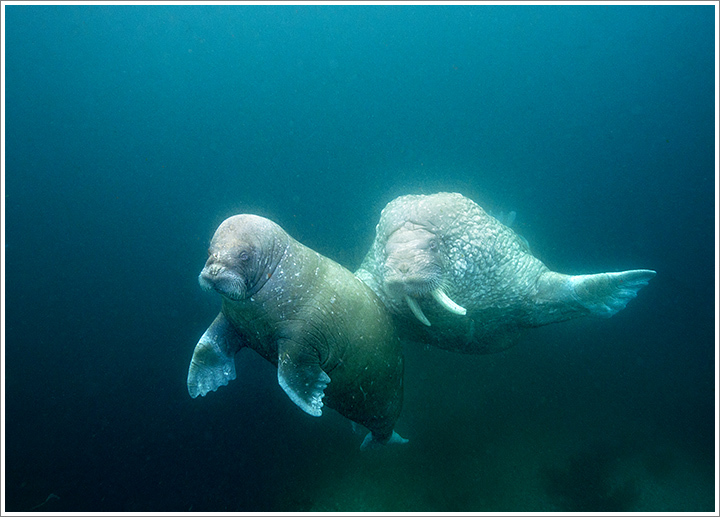 Photographed July 18, 2011 with Canon EOS 1D IV and 16-35mm f/2.8 lens using a SPL Waterhousings underwater housing. Exposure 1/200 at f/3.2 with ISO 800. This entry was posted on Monday, December 5th, 2011 at 7:24 am. It is filed under Underwater and tagged with Europe, Norway, Spitsbergen, Svalbard, Underwater, Walrus, Wildlife. You can follow any responses to this entry through the RSS 2.0 feed.